If you are still looking for some inspiration to decorate for Valentine's Day, here are some Valentine mantels I love. 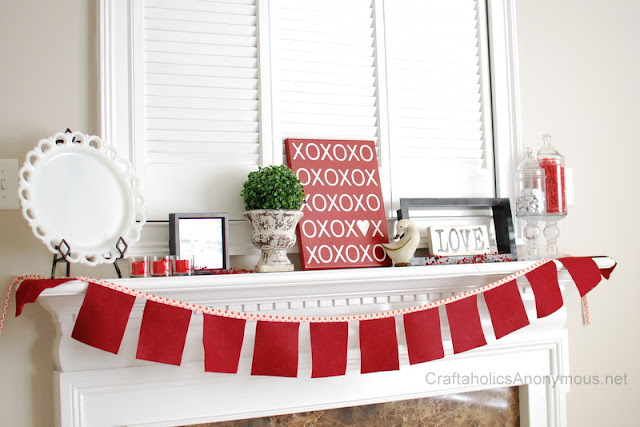 The Valentine's Subway Art and the red flag banner from Craftoholics Anonymous would look great on any mantel, but if you don't sew you could always use this doily garland idea from Domestically speaking to decorate your mantel for Valentine's Day. 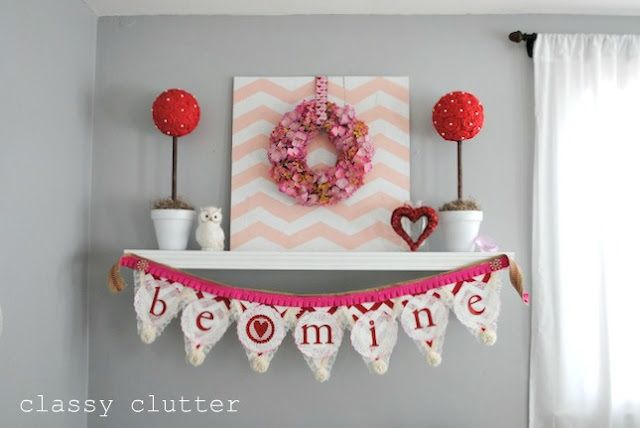 Classy Clutter created a cute pink Chevron backdrop for her Valentine's Day mantle. 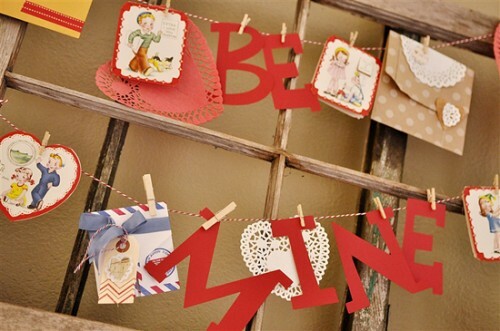 And I love this vintage valentine display on Leigh Anne's mantel over at Homebased Mom. I don't usually pick favorites, but my hands down favorite will always be Char's Valentine mantel from last year. I used to blog at Decor Girl, i'm starting a new blog..come check it out :) Thanks! These are adorable! Especially the last one. I've been looking for lots of inspiration for Valentine's because I haven't really decorated for this holiday in the past. Thanks for sharing so much inspiration!